Dion Wiley (left) scored just three points while D.J. 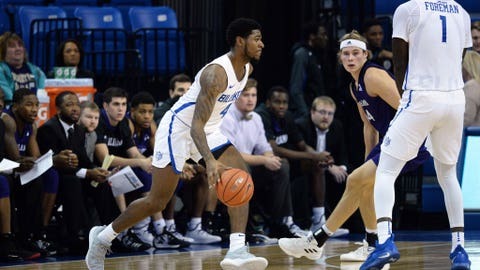 Foreman (right) scored 15 points in the Billikens victory. ST. LOUIS — Javon Bess totaled 16 points and 10 rebounds as Saint Louis finished strong to beat North Alabama 69-58 on Tuesday night.